Although decorating the exterior of your property will make it look great, don’t just think about it for its aesthetic benefits. 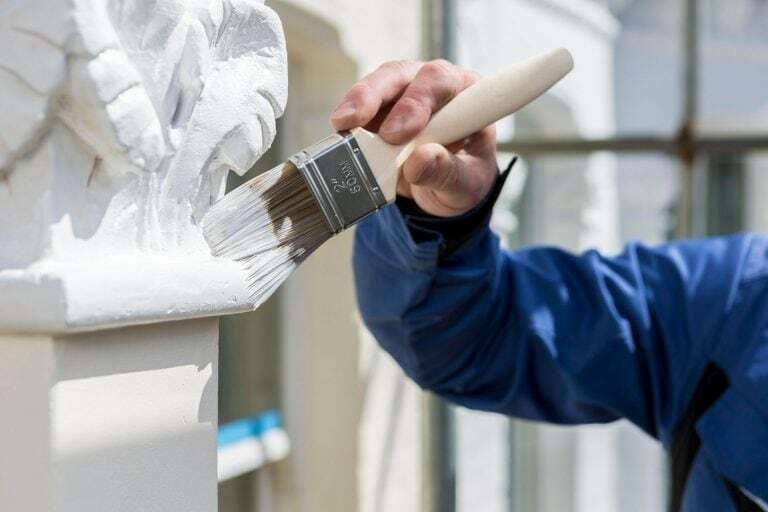 Decorating your property to a high standard will also help protect it. A good quality exterior decorating job is the first line of defence against the weather. A professional job should last for several years. Trying to save money by delaying exterior painting can end up costing you more. Putting the work off now can increase the amount of preparation work required in the future. Call our team today. We can discuss your decorating requirements in detail and provide a no-obligation fixed priced quote free of charge. The attention paid to the preparation work is essential for a good quality finish. The lifespan of an exterior decorating job is prolonged if each coat of paint is applied to a clean, dry, stable base. 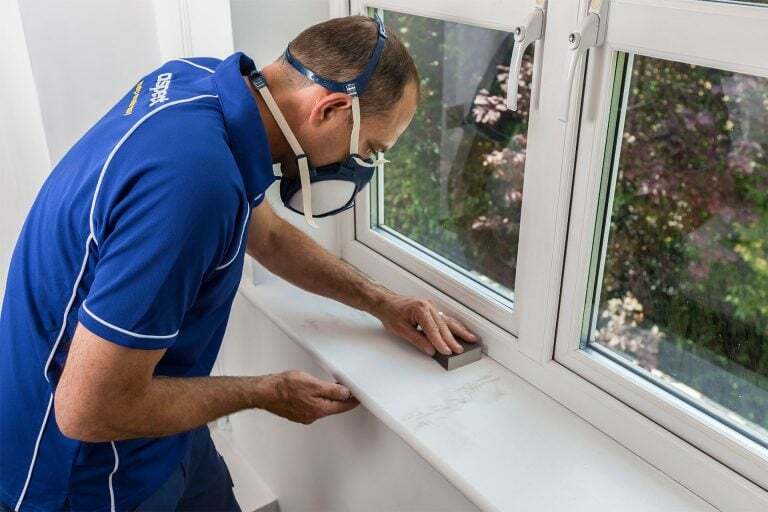 Our tradesmen use superior quality materials for all preparation work they carry out. Creating a solid base that’s free of cracks, holes or other indents and that paint can adhere to is fundamental to a long lasting finish. 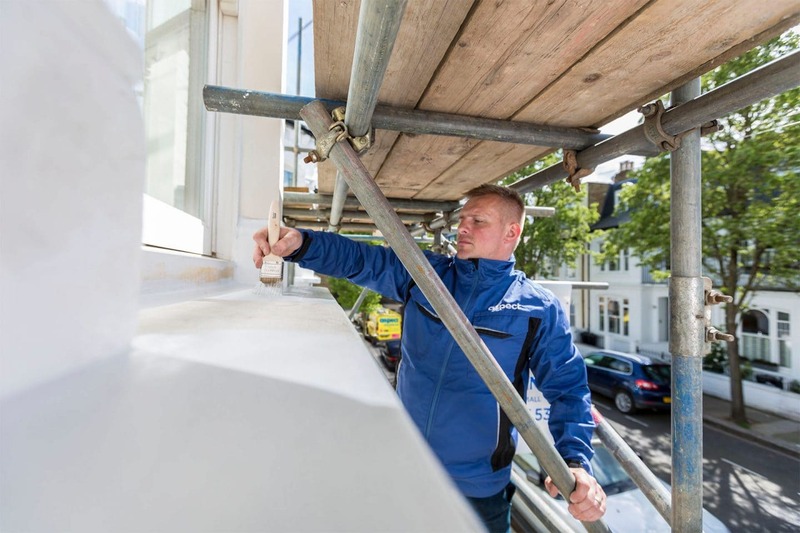 If any larger scale work is needed we can call on our building, carpentry, glazing, plastering or roofing experts to provide their expertise too! When’s the best time to paint the exterior of your property? The best time to decorate the exterior of a property is during a period of dry, mild weather. You should try to avoid painting on days that are very windy or exceptionally hot. Paint will dry best when applied in temperatures between 10c and 30c. Try to make sure the exterior is completely dry by waiting for at least two or three days after rain before painting.